I am so proud of you and proud to be your fan. 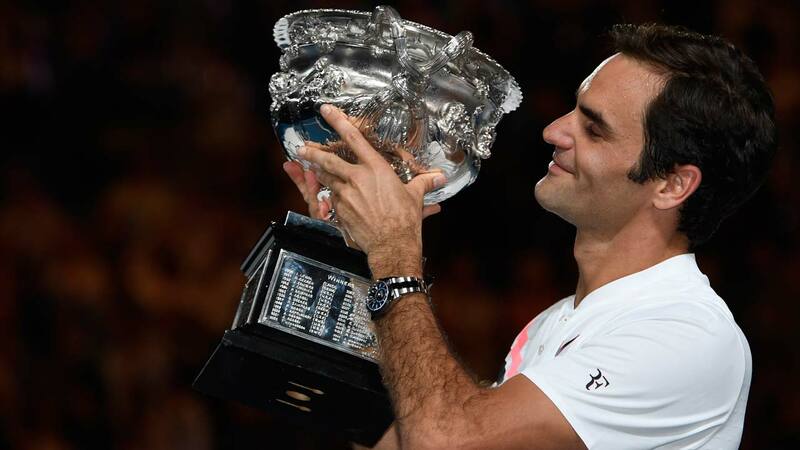 Winning your 18th Grand Slam at the Australian Open after so many years was triumphant for us Federer fans and even though I know you say it is low on the list of priorities, for us it Fedfans it was monumental. We want your legacy of being the Greatest of All Time to stand forever! That win over Nadal brought me more joy that I can ever express in a letter! Personally, I was so blessed to meet you at Indian wells for 2 years in a row and get a signed RF shirt and RF hat. Watching you practice there and being so close to you in person was the highlight of the decade for me! Your kindness in taking the time to straighten my shirt so that the signature would be perfect even though hundreds are people waited behind me stays with me and made me feel important to you. I have learned so much about life from watching and listening to you. I try to control my emotions on the court as well as in life. I try to stay calmer when I feel stress or the pressure of an event. I feel I can handle things much better because of learning from you and how you live. The joy of the game and life that you express is contagious and for me and I would love to have even 1% of the life-giving gift that you have not just on the court but in the way you live and interact with people. Thank you for following your passion and allowing us to enjoy you for a few more years on the court. I know I will still follow you when your ATP career is done but it’s so nice to have so much media coverage so we can learn more about you. You are the greatest of all time in tennis and in my life. Thank you for your inspiration and beauty in all things. May you and your family continue to be blessed with health and happiness for the rest of your days! The Secret Weapon That Was Used To Defeat Nadal and Federer At Wimbledon. sieht gut aus, aber wemn es aber, wenn Öffnung in IE, es einige überlappende Fragen. Ich habe lediglich wollte Ihnen ein schnellen Heads-up! bookmarking for revisiting. I wonder how much effort you put to create any such great informative site.